You guys know me. I’m a softee. I like a good inspirational story. I’ve even been known to enjoy a corny made for TV movie on Hallmark or Lifetime. So this is a girl that doesn’t mind a little bit of cheese in her films. 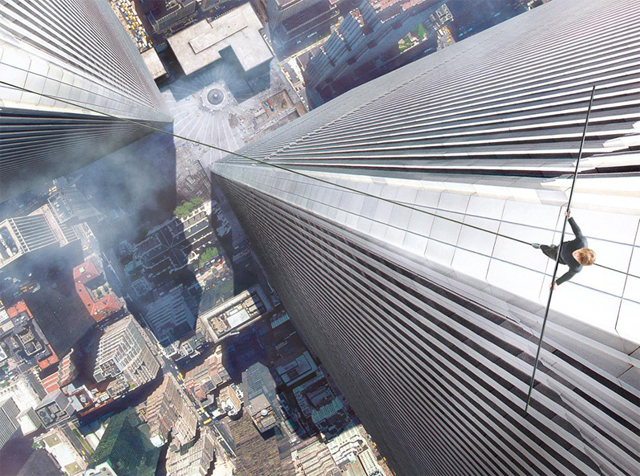 Well, that’s good because it is certainly what you get in Robert Zemeckis’ new movie The Walk. 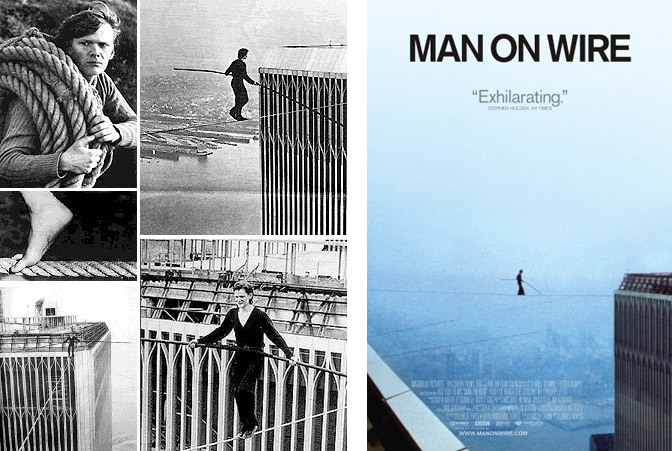 It is based on the story of Philippe Petit’s wire walk between the World Trade Center Twin Towers in 1974. This was made into an excellent Oscar winning documentary in 2008. The thing that made the documentary work is Petit is a unique person. He can be dishonest, unfaithful, rude and yet also quite charming and funny. So really it was more the man than the walk which made the documentary compelling. The documentary isn’t trying to inspire us but just tell Petit’s story. Unfortunately Zemeckis in both his direction and screenplay don’t seem to get this and Petit ends up feeling bland and another guy with a dream. You could play a drinking game and get very drunk with how much the movie says the word dream. Justin Gordon-Levitt is a little disappointing as Petit. Much has been made of his french accent but it is pretty bad. It’s too bad Oscar winner Jean Dujardin is probably too old for the part because he would have been perfect for Petit. It’s hard to fault Levit too much because he is given a pretty corny bland character and the staging device of him telling the story, breaking the 4th wall, from the Statue of Liberty amplifies this cheese. That’s not to say I hated the film. I actually found it entertaining. It’s just a little disappointing because it could have been great with a few tweaks. Much of The Walk is spent with him training and assembling his “accomplices” for the big walk. His girlfriend Annie (Charlotte Le Bon) seems unrealistically supportive of this crazy scheme as do everyone else (I wish I had such an unabashedly cheering section for my crazy endeavors!). Ben Kingsley as Papa Rudy, a famous wire-walker, is the only one who really challenges Petit and actually suggests he use a safety cord. All of this is fine if a lot corny building up to the big walk. And I have to say the last third when he is actually pulling off the illegal walk is incredibly compelling. Cesar Domboy I thought was particularly good as Jeff, Petit’s accomplice who is afraid of heights of all things! Zemeckis handles the special effects and the tension and the majesty of the actual walk perfectly. I saw it in IMAX 3D and there were moments where I couldn’t help but gasp. You feel the height and when he keeps repeating the walk (4 times) it gets more tense and scary. With the IMAX 3D it feels like you are there on that wire and it is almost like an amusement park ride (think Soarin California at Disneyland). 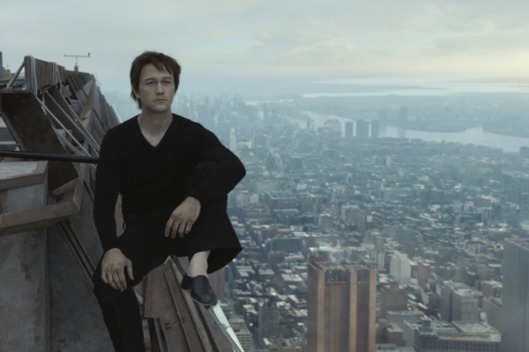 If you are motion sick or afraid of heights it may not be the movie for you because the walk goes on a long time but it worked the entire time for me. Unfortunately some of the New Yorkers especially the cops are silly cliches with overdone accents but it isn’t a big deal. The walk is compelling enough to ignore such details. I’m not even a New Yorker but I have to say every time they showed The Twin Towers I cried. There were a few scenes where Petit leans on the facade of the building and I was practically weeping. I wasn’t expecting to have that response but just seeing the buildings again got to me. I guess enjoyment of The Walk depends on how much you can tolerate a cornball movie. As I said, it is a bit frustrating because it could have been so much better but I still had a good time and enjoyed the film. 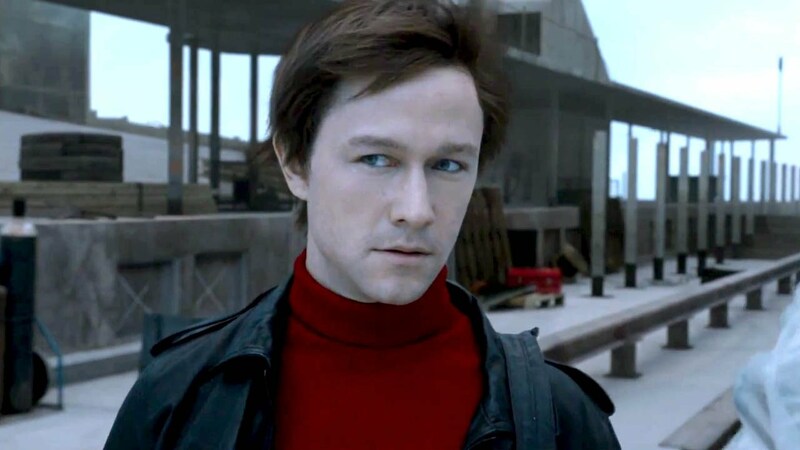 The walk itself is so well done and so compelling that it makes up for other flaws like the narration and some of the weak character development. The other thing I’ve been thinking about with this film and perhaps it is an unfair criticism is-was it art or was it a stunt? Petit tries to sell it as art and that he is not a circus performer. But people do brave stuff all the time like climbing Everest and we don’t call them artists. I suppose with the Twin Towers symbolizing such a loss, I felt a little conflicted with a film trying to pass a stunt off as bravery and inspiration when much more brave things were done at those buildings. No movie is made about them (or no good one so far). A side of me kind of wishes Petit had taken all that bravery and done something that actually matters. I mean if you look at other inspirational stories like Imitation Game or Theory of Everything those were men who actually changed the world. This could be thought of as a crazy stunt but it doesn’t really help anyone in their lives. But I know that is being unfair. Did Picasso help people with his art? Probably not but he certainly inspired people and helped them be more creative, which is a form of help. So I guess it comes down to is Petit’s walk art or is it a stunt? What do you think? 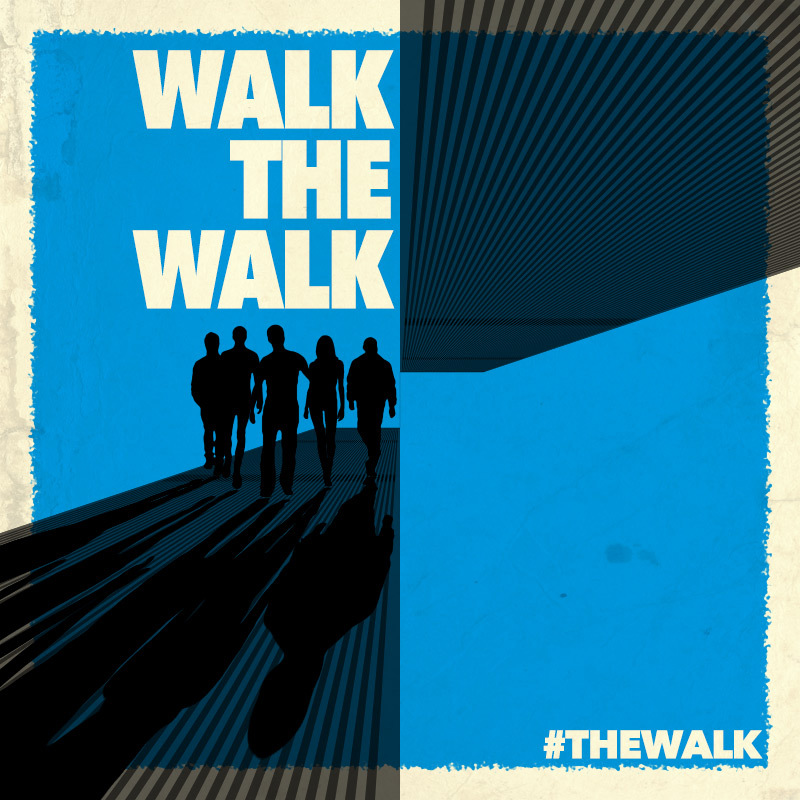 All that said, if you want to go to an experience at the movies than definitely see The Walk. The special effects are astonishing and in the IMAX 3D it feels like you are walking as Petit walks. The rest of the film is fine and certainly watchable if flawed. As far as content there is a tiny bit of language but the main objectionable scene is when Petit strips down so that the accomplice on the tower can see him better to shoot the wire across to him. It’s done in a way where not much is shown and it is relatively brief and humorous but it is there. My friend Matthew posted his review of both the book and movie you might find interesting. I feel this would be nice to see in 3D for the reasons you mentioned: to actually feel the height of everything, etc. I was actually predicting JGL to get an Oscar nom for this role, but after hearing what people are saying, I’ve dropped that thought, lol. I think I could safely say I know what 4 of the 5 Best Actor nominees are gonna be this year. 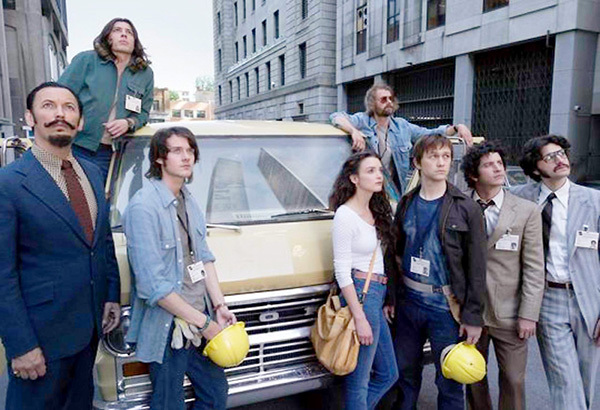 I would definitely go see it in 3D or honestly I don’t know if I would bother with the film. I guess I’d have to see it on small screen to know for sure. It’s always fun to predict Oscars but they certainly can surprise me. I can’t imagine JGL will get one for this. If he does than it has been a weak year for men’s acting. Yeah, I’ll probably wait to see this when it comes to my library for free. I’m not sure if my fear of heights will allow me to relax and enjoy this film. 😛 Haha…I don’t know – maybe it wouldn’t hurt to watch it. But I generally avoid movies or shows that glorify stunt artists. What you said resonated with me. The true brave people who walk among us are brave because they risk their lives to help or protect other people, or to advance human civilization in some bold new way. I would rather see a film which glorifies those such people — the soldiers, the firefighters, the police officers, the thinkers and scientists who faced angry mobs, or jail time, or excommunication, or death, but did so to improve society or change the world for the better. I’m glad that rang true for you because I couldn’t decide if that was me being petty or a valid concern. I honestly wouldn’t recommend it if you have a fear of heights. It made me a little jumpy and I don’t have that fear.